Partnering with the Royal Australian Mint, Woolworths (Safeway) are handing out in change the newest additions in the coloured $2 coins for collectors. 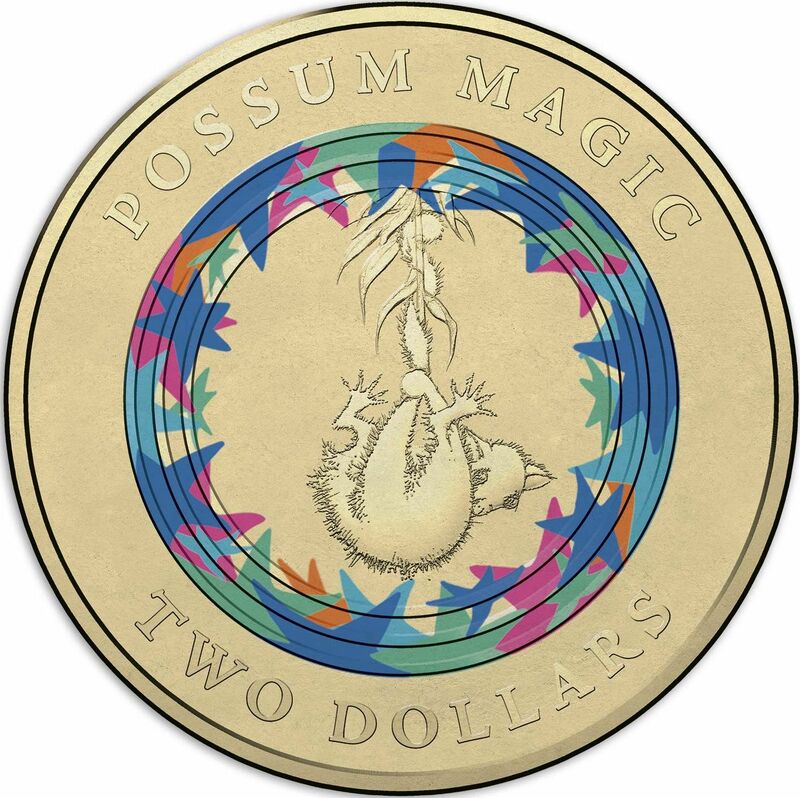 Possum Magic is the popular children’s tale by Mem Fox and the theme for three coloured $2 coins being released into circulation over the coming weeks. The coin for this week is called “Sad and invisible Hush”, is predominantly blue and is pictured above. Make a purchase at your local supermarket and you might get one of these shiny new coloured coins in your change. Coin sets are also available from Woolworths, the Mint and your local friendly coin dealer which include the three coins (blue, red and pink), four specially designed dollar coins and a book-worm possum 1 cent piece. The 1c being a whimsical take on the feather tailed glider design not seen in circulation since 1992. This is the first commemorative 1 cent piece Australia has seen. These coin sets with a face value of $10.01 are surprisingly good value for issue price of $15. This is an exciting release with coloured $2 proving very popular with collectors. See also the 2nd coin in this series and the last coin. Also available in sets.